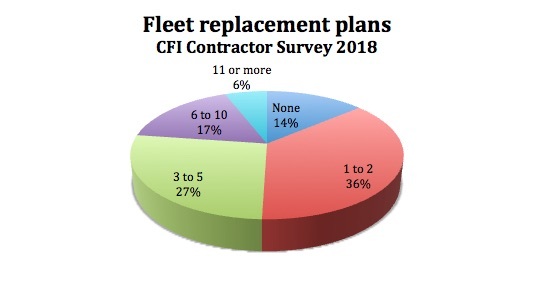 Oct. 18, 2018 – Despite worrisome rates and profits margins reported in CFI’s 2018 Contractor Survey, a strong majority of Canadian loggers are still planning to replace at least one machine in their fleet within the next two years. Half of them will be shopping for three or more. Just 14 per cent of contractors are not looking to replace any machines, while 6 per cent will purchase 11 or more. Region plays a large factor in the likelihood of replacement. 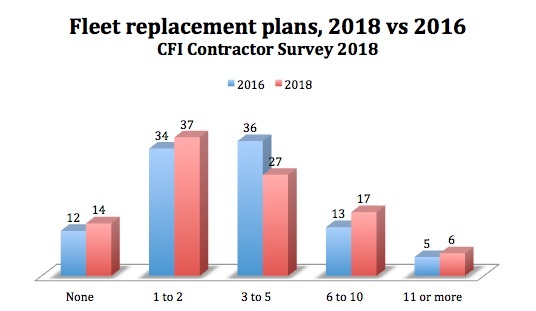 Percentage of contractors planning to replace machinery within two years. These numbers are in keeping with the results of our 2016 contractor survey. There was a decrease in the percentage of loggers planning to replace three to five pieces, which was offset by a slight increase in all other categories, including those not planning to purchase any machines over the next two years, up 2 per cent from 2016 results. Not surprisingly, the further east you go the less likely contractors will be replacing their fleet. Nearly half of Atlantic region loggers (42%) are not looking to purchase over the next two years, the largest percentage by far. 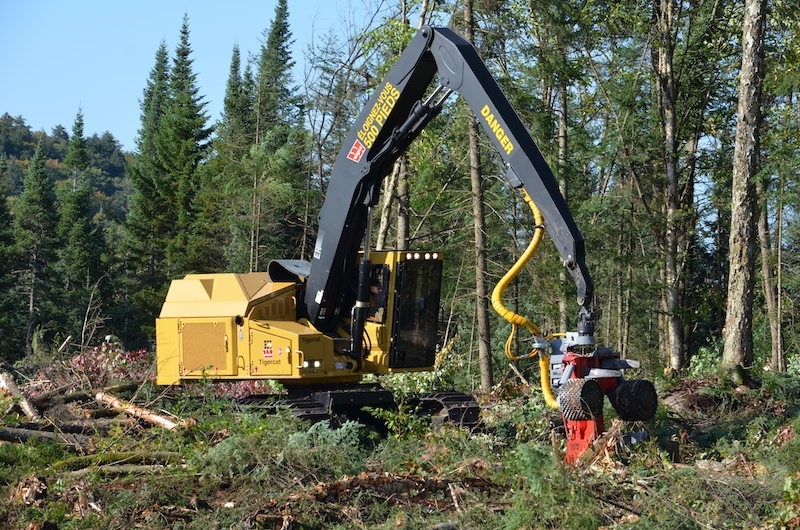 In spite of large fleet sizes in Ontario reported last week, the region’s loggers appear to be avoiding machine replacement over the next two years. None are planning to replace more than 10, and 17 per cent say they will not be replacing any. Quebec with its majority of small operations has the largest percentage of contractors planning to replace one to two machines. The B.C. 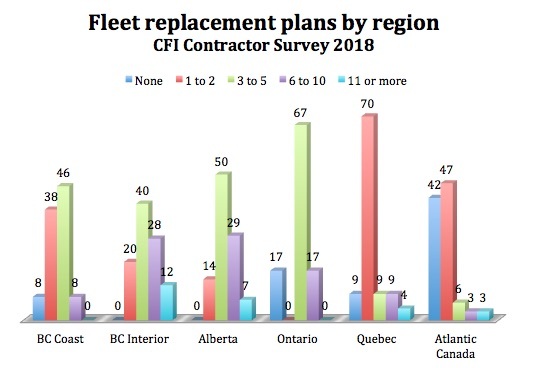 Interior leads the pack for replacement plans, with 68 per cent replacing three to 10, and another 12 per cent replacing 11 or more.